Adapted for young performers, Honk! JR. is a heartwarming celebration of being different that is sure to delight audiences with its sparkling wit, unique charm, and memorable score. Witty and hilarious, but also deeply moving, Honk! JR. will treat audiences to equal amounts of laughter and tears. 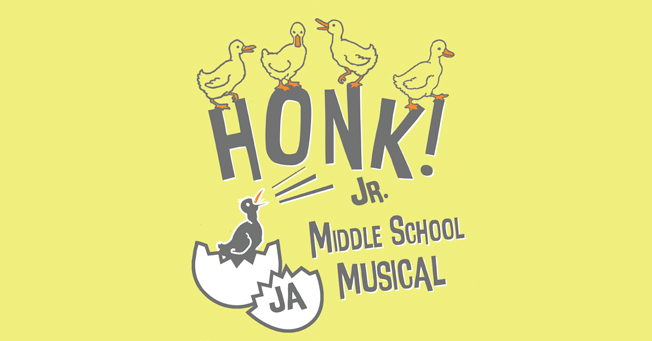 Friday, April 15: 7:00 p.m.
Tickets for Honk! Jr. can be purchased online here or at the door. A century’s worth of sibling squabbles is boiled down into ten vignettes in this era-hopping tribute to family. Each short play explores a distinct facet of brother and sisterhood, from fights over who caused mom and dad to split (1985: I’m Pretty Sure This Is Your Fault) to daring escape plots that only two sisters could pull off (1922: Very Very Cold Feet). No matter the decade, audiences will see themselves in these ten distinct shorts about the undeniable bond between siblings through the ages. 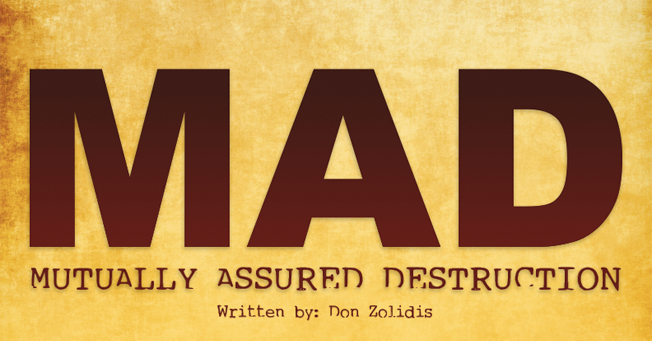 Saturday, April 23: 6:30 p.m.
Sunday, April 24: 2:00 p.m.
Tickets for Mutually Assured Destruction can be purchased online here or at the door.